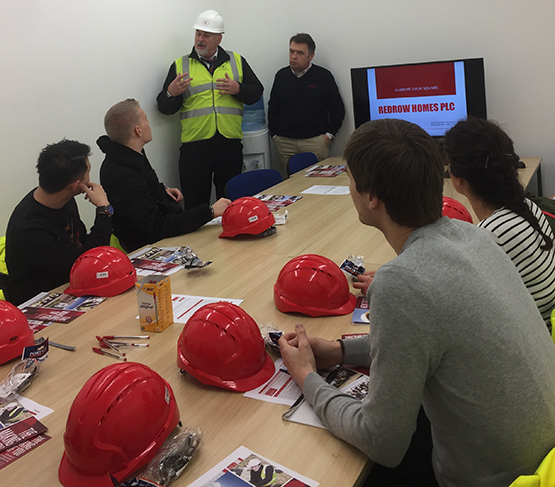 Redrow recently organised a university student site visit. Eight students from the University of London visited the site and went through the nature of the construction industry. There was a Scheme Monitor on site that day, who was able to inform the students about the Considerate Constructors Scheme and answer their questions. Redrow have undertaken this exercise to ensure the role the students of today would play in the future of the construction industry. The Students were astonished by how the site actually functions and vastly differs from the educational exposure they had received.